A man injured in a Boston bicycle accident has lost his bid to further pursue legal action against the company he claims caused the dangerous condition that resulted in his crash. The Massachusetts Court of Appeals recently ruled in Filepp v. Boston Gas Company Inc. the bicyclist failed to provide proper notice of injury to the defendant within the 30-day window. 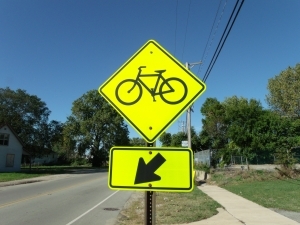 Boston bicycle accident lawyers point to this case as an example of why one of the first things any injured party should do is contact an attorney. Although injury victims bringing ordinary negligence claims have three years in which to file, there may be other requirements about which you are not aware that we can help you to meet quickly, thus reserving your right to pursue litigation and collect compensation. According to court records in the Filepp case, the plaintiff sustained serious injuries after he fell from his bike in Brookline while riding along Harvard Street. The plaintiff contends the reason he fell was because there was a two-inch rut in the pavement, created by the Boston Gas Company. The firm was reportedly conducting work on gas lines that ran underneath the street. M. G. L. c. 84, §§ 15 and M. G. L. c. 84, §§ 18 hold that a person who is injured as a result of damage to roadways, bridges, sidewalks, etc. must give notice of injury within 30 days to whatever entity that by law is obligated to keep those facilities in good condition. This is a requirement if the injured party wishes to later pursue litigation, and these statutes are applicable regardless of whether the defendant is a government agency or a private company. The notice requirement mandates the entity must be informed of the person’s name and place of residence, the time, date and place where the incident occurred and a few other factors. The way this notice is worded is important because it could later become an issue in court if there is any discrepancy. This is another reason to get an attorney involved early on in the case. Here, the defendant moved for summary judgment on the grounds that no such notice was proffered. The trial court granted the judgment, and the appellate court affirmed, although the latter somewhat begrudgingly. The appellate court cited the previous case law established in the 1990 case of Wolf v. Boston Water and Sewer Comm. and the 1991 case of Ram v. Charlton. Both cases laid forth the indication that there was statutory entitlement to notice as a precondition to any action seeking recovery of damages, and that the notice requirement extends to both private and governmental entities. The court pointed out that under current law, the burden is on the injured party to figure out quickly the entity responsible for causing the roadway defect that resulted in their accident and then to promptly provide notice of injury. Of course, 30 days is not a lot of time, especially if one is recovering from a traumatic and/or extensive injury. If you are injured in a Massachusetts bicycle accident, call the Law Offices of Jeffrey S. Glassman for a free and confidential appointment — 1-888-367-2900.